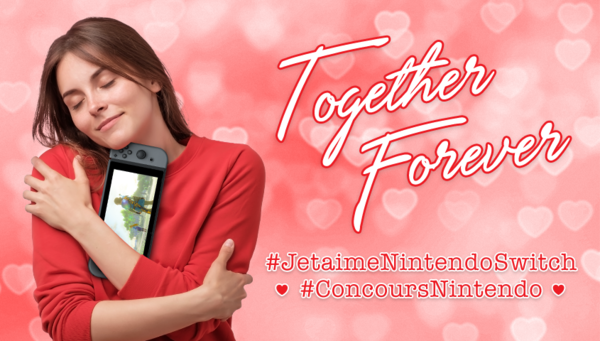 This Valentine's Day, celebrate and share your love for the Nintendo Switch with the #JetaimeNintendoSwitch contest happening in the province of Québec! Tell us or show us how much you love to game on the Nintendo Switch with a creative video or image and post it on Instagram or Twitter. Do not forget to include the following hashtags to make your entry eligible: #JetaimeNintendoSwitch #ConcoursNintendo. We look forward to seeing you share your declaration of love for the Nintendo Switch and wish a happy Valentine's Day to all! FINALLY! I&apos;m so used to "Except in Quebec or Puerto Rico"!!! How about just putting SMO and hugging the Switch? That&apos;ll work.